Texas Highway 19 forms the western border of East Texas stretching from Huntsville in the south to Paris in the far reaches of North Texas. It passes through towering forests of pine trees, rolling hills, historic Texas towns, beautiful lakes and eventually up to the prairies of Northeast Texas. It’s a drive worth making, but when visitors take in the towns along the way, it becomes even more of a special trip. Along the way this state highway passes from Huntsville through Trinity, Crockett, Grapeland, Palestine, Athens, Canton, Emory, Sulphur Springs and then Paris with each of those communities holding a special Christmas event from early November through the Christmas holidays, so take a special journey on Texas Highway 19 and experience a real East Texas Christmas. Every city has some special events, so travel with us, from south to north as we explore the Christmas season on this 225-mile journey in this season of hope. Christmas brings hope. It brought hope more than 2,000 years ago when Jesus was born in a manger in Bethlehem, get out and experience that hope. The following is a list of cities along Texas Highway 19 beginning from south to north. • HUNTSVILLE — Huntsville offers visitors a variety of Christmas activities throughout the Christmas season. The first weekend in December turns Huntsville into a Christmas wonderland with Huntsville for the Holidays and the Downtown Christmas Fair. The Downtown Christmas Fair features dozens of vendors, snow making, pictures with Santa Claus, train rides and much more. The Downtown Christmas Fair is set for Saturday, Dec. 2. On that same day, head a few blocks south of downtown Huntsville to the Sam Houston Memorial Museum from 10 a.m. to 2 p.m. on the museum grounds at the old Sam Houston homestead. 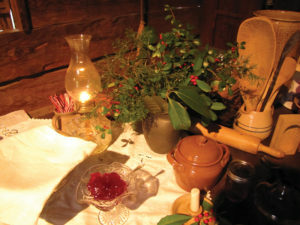 The day is filled with historical demonstrations, refreshments, crafts, Santa Claus, a holiday market with original handmade gifts by local artisans, all centered around the old Woodland Home, Bear Bend Cabin, the Steamboat House and other things on the grounds of the Sam Houston Memorial Museum. 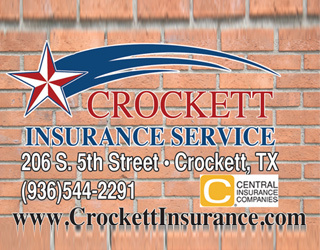 • CROCKETT — Stop by downtown Crockett on the Saturday before Thanksgiving for the annual Christmas celebration known as Christmas in Crockett. More than 200 vendors line the streets of Crockett around the Houston County Courthouse. This year marks the 35th installment of this annual event. Use the opportunity to do some Christmas shopping; eat some festival food and enjoy a small-town festival, full of East Texas charm. • PALESTINE — This East Texas town is one of the greatest destination towns in Texas, with its historic downtown and railroad heritage. Palestine also is home to the Texas State Railroad and Christmas means it’s Polar Express Time at TSRR. The city also goes all in for Christmas with Frost Fest and other fun activities held the first weekend in December. • ATHENS — Light up the holidays with a trip to Athens with a visit to The Christmas Park — Land of Lights. The park opens Nov. 10 and is open every day through January 3. The park’s driving trail runs for more than a mile and features more than 4 million lights with 50 different musical scenes and 50 motion controlled lighted scenes along with seven tunnels, 14 arches and 1,500 wood cutouts. The Land of Lights is located at Loop 7 and Patterson Road. On Saturday, Dec. 2, Christmas becomes an all-day event in Athens as the Keep Athens Beautiful organization brings visitors Holiday on the Square in downtown Athens around the Henderson County Courthouse. This special event runs from 11:30 a.m. to 5 p.m. and will feature lunch with Santa and other activities for children. At 6:30 p.m. a Christmas parade winds through downtown bringing in the Christmas spirit into Athens. It’s a full day of fun for this East Texas city. • EMORY — While traveling up Texas Highway 19, take a drive around Emory as the downtown is decked out with wreaths for the Christmas Wreath Project. The Rains County Courthouse is filled with wreaths, with three large wreaths representing the three cities of the county, Emory, Point and East Tawakoni. The north side of the courthouse is dedicated to veterans. Also, take some time for Christmas Around the Square, held the first Saturday of November. The day is filled with a Christmas parade full of floats, then a festival full of vendors, activities, visits with Santa Claus and much more. Go to www.emorytx.com for more information. • SULPHUR SPRINGS — Head north to Hopkins County and its county seat, Sulphur Springs for a bag full of fun, from live theater productions to festivals and other family fun. Christmas Downtown and Christmas Parade includes plenty of local shopping, a parade, slides, fun Christmas activities, the lighting of the community Christmas Tree in Celebration Plaza. For two weekends, Saturday Nov. 25 and Saturday Dec. 2, enjoy Christmas in Heritage Park. Christmas in the Park begins at 5:30 p.m. each evening. Visitors can enjoy a spectacle of lights, strolling carolers, musicians, a living Nativity scene and even Santa Claus. The historic buildings in the park will be open with volunteers dressed in period clothing to help visitors take a trip back in time. While there stop by the blacksmith shop, the general store, a one-room log house with warm treats being served, take a look at the tree at the Atkins House and hear some old time Christmas music. Santa will be at the Smith-Greg House where they can also get a cup of hot chocolate. Also, don’t miss the old railroad building. Then, on Dec. 7 and 8, see the Main Street Theatre, Community Players, present the hilarious, “A Good Old Fashioned Redneck Country Christmas.” Go to www.mstsulphursprings.com to learn more about the production. • PARIS — Head to historic downtown Paris for the Downtown Open House and Christmas Tree Lighting Festivities held Saturday, Nov. 11. Christmas really gets going the following week on Saturday, Nov. 18 with Christmas in Paris. This event features a traditional Christmas bazaar, hosted by Boy Scout Troop 2 and the Calvary United Methodist Church. The event is held at the Love Civic Center, located at 2025 South Collegiate Dr. in Paris. The event lasts from 9 a.m. to 4 p.m. On Nov. 30, don’t miss the Air Force Band of the West Christmas Concert. On Friday, Dec. 1 beginning at 4 p.m., don’t miss Christmas in Fair Park, held at the Paris/Lamar County Fairgrounds, which continues the following day. A Christmas parade with the “Deep in the Heart of Christmas,” theme will take place Saturday. 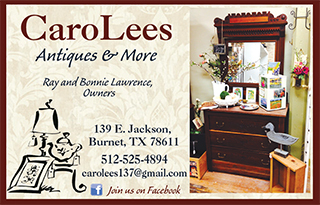 For more on all the happenings around Paris, visit their website at www.paristexas.com.